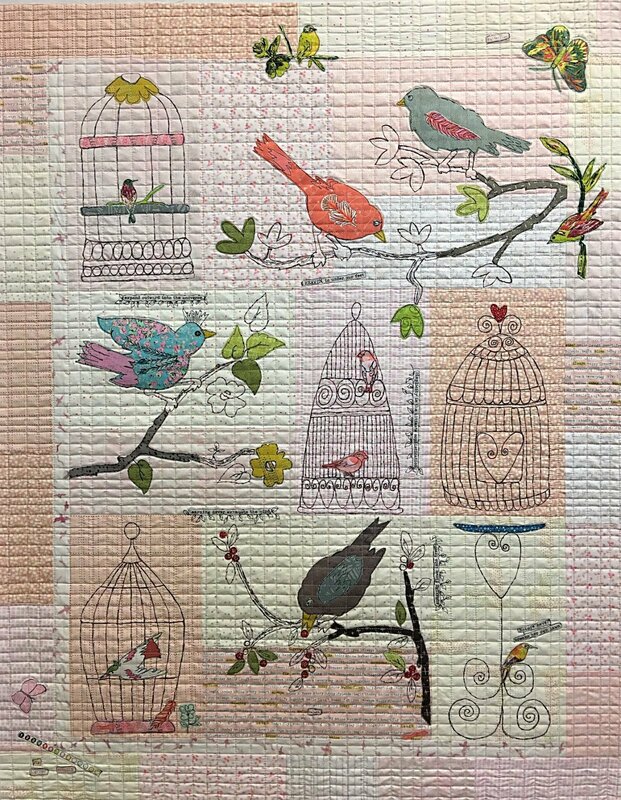 Chirp Chirp collage and machine embroidery pattern by Laura Heine! Pattern includes full sized patterns and complete instruction to complete this darling wall hanging. Size 42 x 47.